3-Way Color-Changing Splitter - Aquascape, Inc. 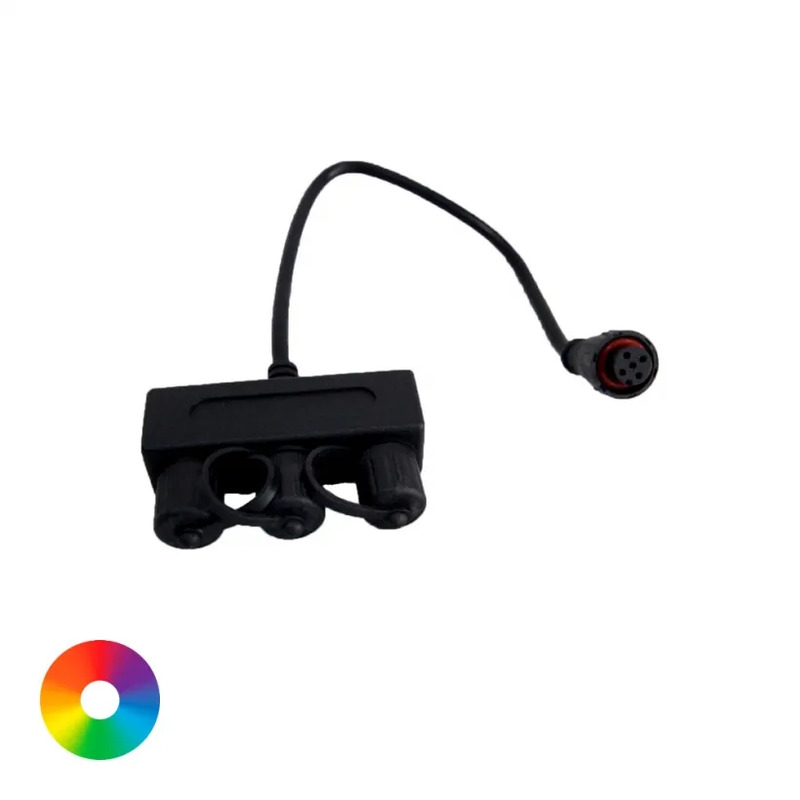 The Aquascape 3-Way Color-Changing Splitter allows for connection of up to three Aquascape Color-Changing Lights to a single power source. Professional, weather-proof, 5-pin, quick-connect connections with integrated fitting grips make installation quick and easy, simply insert the light connection into the splitter and turn the collar until hand-tight. Multiple splitters can be chained together to attach additional fixtures. The 12 cord length makes it easy to maneuver the splitter during installation. Aquascape is passionate about the products we produce, providing unique products, designs, and features that stand above the competition.